HRT and Testosterone Cream satisfy many of our patients. As patients have found success with testosterone treatment or hormone replacement therapy; many have also become increasingly frustrated with injections, pellets and over the counter gels. Many people are not comfortable taking weekly shots or in some cases being required to schedule weekly physician visits to have them administered. Many of our patients had inconsistent results with pellet therapy. Every over the counter gel is required by the FDA to contain an extremely low dosage because it is intended as a one size fits all product for all consumers and many people are consequently not satisfied with the results. The amount of product one is required to apply on their back or underarms is so large one often requires a hair dryer. One of the biggest issues found in gels is the risk of transference to females and children so these products increase that risk. Since the gels are alcohol based the amount of product an OTC brand requires will also typically dry out your skin. Creams are obviously not alcohol based. Compounded creams are given a specific dosage prescribed just for you rather than one size fits all Androgel or Axiron. These products only have 1.67% testosterone and as a result require handfuls of product. The dosages are typically higher allowing for much less product to be used and usually drive better results. Rather than applying a ton of product to your back or underarm you can usually apply a dime sized dollop to your forearm and expect better results. 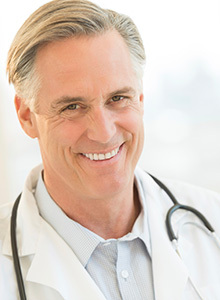 Once you have been diagnosed by our physician we will mail you your monthly supply of your specifically prescribed therapy directly to your home or office and you will not have to schedule an office visit. Contact us today and switch from regular office visits or poorly preforming over the counter gels to a program designed specifically for you.